The cores and the spokes of all KG steering wheels are made of ANTICORODAL, a robust but lightweight aluminium alloy. TI.G (Tungsten lnert Gas) welding technology, used in the aeronautics and aerospace industries, is the only welding system used on KG steering wheels due its superior results. 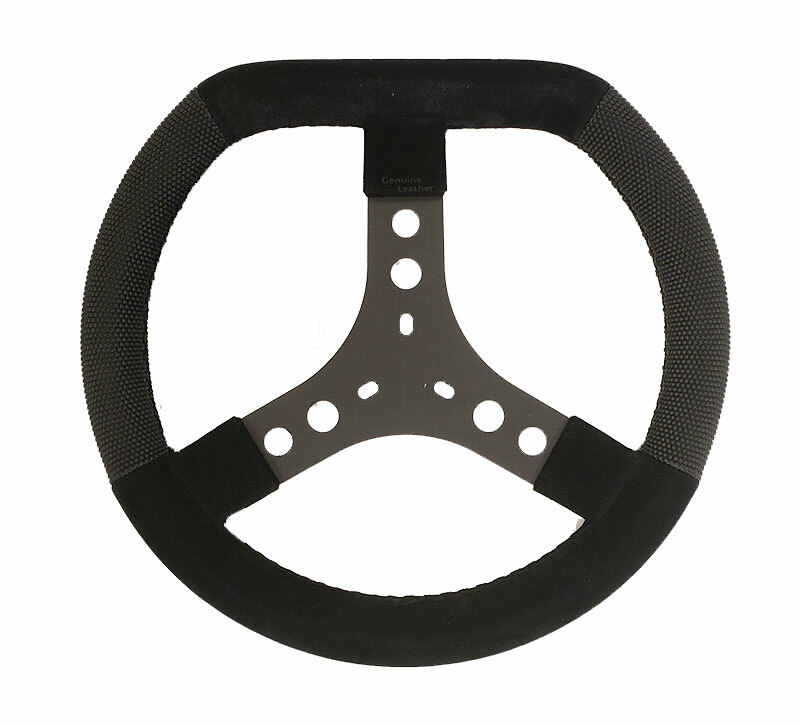 The grips on this steering wheel are made of Lederfylon, a molded rubber with a fine honeycomb finish that will not fade or wear down with use. The remaining is wrapped in Genuine Leather. Only the finest leather is used on Kg’s leather steering wheels. Top quality leather, guaranteed by the «Genuine Leather» trademark, a natural product and good resistance to wear and tear over time.